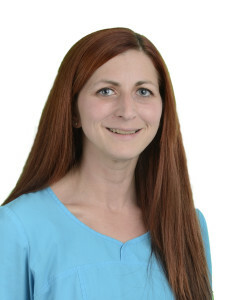 Andrea is CFIs CMA/Patient Services Representative, and she handles a number of duties for the practice, including coordinating patient referrals. She is a graduate of Forsyth Technical Community College’s CMA program, and worked previously at Wake Forest University Baptist Medical Center, where she specialized in reproductive medicine. During her time at Wake Forest, she met Dr. Y, which led to her employment with CFI. Helping couples though their journey and meeting the children when they come back to visit give her great satisfaction. Andrea is born and raised in NC and lives with her husband and two sons.